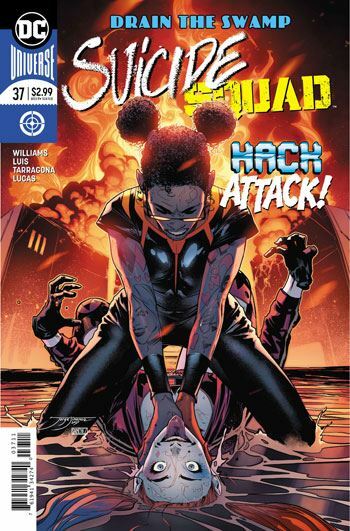 Rob Williams delivers another strong issue of Suicide Squad, as Hack finally learns who killed her. The first time. Last issue ended with Amanda Waller blowing up Belle Reve and trying to kill the entire Squad, just to stop Hack. We all knew that the team did not die, so no point in pretending their survival is any sort of spoiler. Hack pulled them all into her digital world, where she continues to accuse and threaten them. The story has a good mix of humour, action, tension and betrayal. Captain Boomerang has been handled exceptionally well by Williams in this run, and this issue marks another strong turn by the character. Luis and Tarragona also do very good work with the art. The expressive emotions of the characters really help the payoffs of the scenes. This is particularly true with Amanda Waller. She is so devious and duplicitous that well rendered racial expressions are critical to give the reader a sincere insight into her true feelings. I’m glad King Faraday is being kept around, or at least I assume he is. The conclusion of this issue puts the status of Task Force X up in the air, and it’s safe to say changes are in the making. 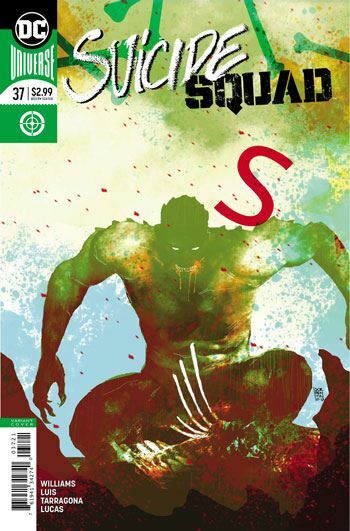 A really fun issue, and as dark as a Suicide Squad tale ought to be. Now can we get some political commentary, please? With the US descending into fascist authoritarianism so quickly, it really needs to be addressed, and this is the best book to do so. Ostrander never shied away from it.